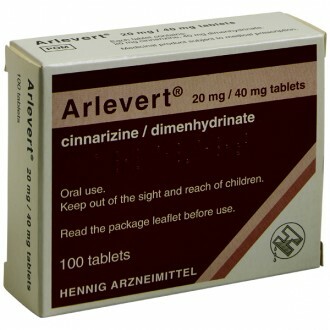 Arlevert tablets are an effective treatment for the sensations of nausea or vertigo. 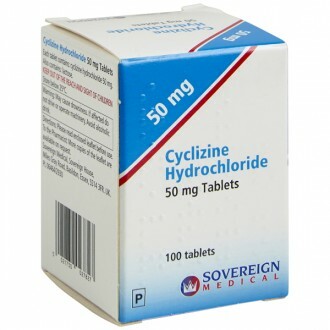 It contains two types of antihistamine, cinnarizine (20mg) and dimenhydrinate (40mg). These ingredients work together to provide relief from nausea and vertigo. Nausea and vertigo are usually attributed to an imbalance in the vestibular system. This is a network of fluid-filled chambers and nerves in each ear that controls the body’s sense of balance. If the brain is receiving conflicting information between the vestibular system and the eyes or muscles, it can trigger feelings of nausea. This is why unfamiliar or irregular motion, such as travelling on a plane or ship can lead to motion sickness. If you are using Arlevert for travel sickness, there are a number of techniques that you can try alongside the medicine to ease your nausea. Reading or looking at a screen will often make symptoms much worse. A common remedy is to close your eyes or otherwise, focus on a stationary point in the distance, such as on the horizon. Try to avoid sitting backwards on a train or boat, and to find a seat or position in which you will move as little as possible. On a boat or plane, this will be towards the middle of the vessel. In a car, it might be helpful to sit in the front seat. It may also help your symptoms to get fresh air by opening a window. Be mindful of what you eat and drink before and during any journey. Foods which are spicy, heavy or rich in fat can make travel sickness worse. Consider staying away from alcohol before or during travel if you know you are susceptible to travel sickness. There are quite a few forms of therapy associated with help to reduce or control nausea. These methods will not work as quickly as medication, however they are often a good place to start. There is nothing stopping you from combining these methods with medication if it is needed. Below are some non-medicinal treatments that may help. Most of them have few or no side effects, how ever there is very little scientific evidence that shows this works. The recommended dose of Arlevert is one tablet three times per day. It should be swallowed whole with a sip of water after each meal. Arlevert tablets should be taken for a maximum of four weeks. Your GP will tell you if you require Arlevert for longer than this. Drowsiness, dry mouth, headache and stomach pain. These are mild side effects which will usually go away within a few days even if you continue to take Arlevert. Microcrystalline cellulose, maize starch, talc, hypromellose, colloidal anhydrous silica, magnesium stearate and croscarmellose sodium. 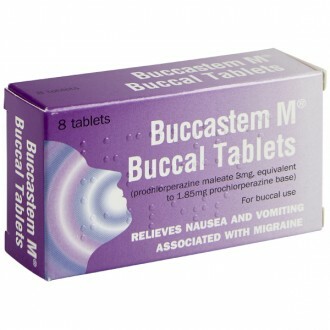 Need to know more about Nausea?